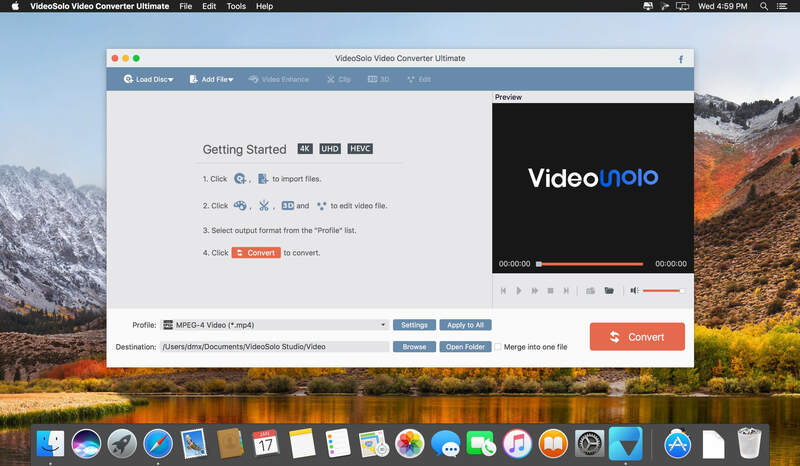 VideoSolo Video Converter is a fast, powerful and easy-to-master video converter. Its main purpose is to convert video files from one format into another. It is able to convert video and audio files in 300+ formats on Mac for totally free, like MP4, AVI, FLV, MOV, MPEG, WMV, 3GP, MKV, MTS, M2TS, MPG, MP3, AAC, FLAC, etc. 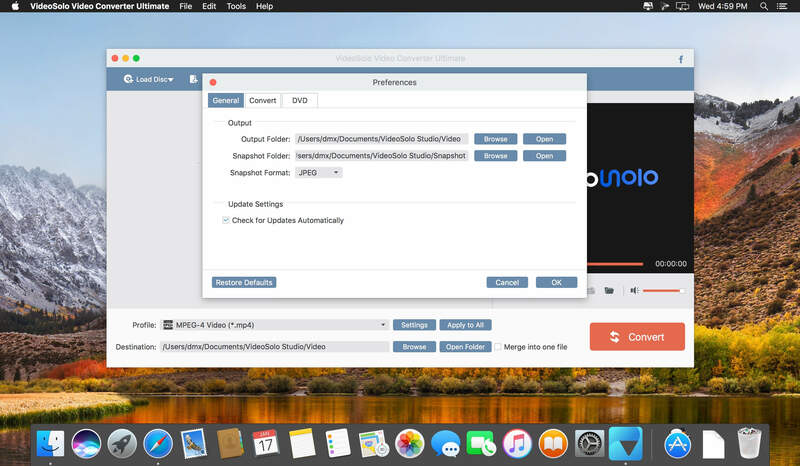 In addition, the software features user-defined video outputs, as well as batch processing for converting multiple files simultaneously, and saves all converted video to a pre-designated folder for quick access and organization. Better yet, it is more than a free video conversion software. You can use it to make your video looks more stunning by adding opening and ending title with different images, themes and words. If you want to make your video or movie looks more professional, say, having the movie’s title at the beginning or having your name in the credits at the end, then try this program! It will let you create professional, dramatic title and credit sequences easily and quickly. Support more than 300 popular video and audio formats. Provide ready-made presets for popular mobile and portable devices. Multi-select videos and audios for batch conversion. Personalize video and audio by adjusting parameters independently. Customize video opening and ending titles of your own style. Merge multiple videos into one single file with video joiner.